34 GEA (2012) projects up to $800 billion per year by 2050 in its high- est-renewables case, but as low as $160 billion per year for some cases with low energy demand and high shares of nuclear power and carbon capture and storage. At the highest end of the projec- tions, Greenpeace (2012) shows a $20 trillion investment in renew- able energy during the 20-year period 2011–2030, or an average of $1 trillion per year. Greenpeace notes that “a major driving force for investment in new generation capacity will be the replacement of the ageing fleet of power plants in OECD countries and the build up of new power plants in developing countries.”6 (See Figure 5 for comparisons of annual investment flows across scenarios.) Virtually all finance experts believed that investment and ownership in renewable energy will come from a broadening array of sources. In interviews, experts elaborated a wide range of investment sources, mechanisms, and models. These include insurance companies and pension funds, utilities, oil companies, retail investors, sovereign wealth funds, banks, public equity, and multilateral finance.7 Several experts pointed to the “unlocking” of pension funds and large institutional investors looking for stable, safe, long-term investments that could be guaranteed on 20-year time frames. Such “unlocking” could occur by creating ratings for renewable energy projects (asset finance), by lengthening feed-in tariff valid- ity periods, by extending project design lifetimes, by reducing construction performance risk, and/or by insuring against wind- resource variability risk. Another mechanism for unlocking pension funds is utility-pension fund joint-ownership models, where a utility finances and builds a project with short-term funds and then sells a share of the project to pension funds. Dong Energy is one utility that has piloted this approach with 49% pension-fund ownership. Beyond pension funds, some experts pointed to sovereign wealth funds, particularly from oil-exporting countries, as a significant new source of finance.8 Utility companies themselves do not necessarily share the degree of optimism suggested by experts and scenarios. Nevertheless, over the past 20 years, utilities around the world have increasingly embraced renewable energy investments, either on their balance sheets, through the establishment of subsidiaries, or as invest- ment partners. Hydro has been the preferred renewable investment by utilities for many decades, but since the 1990s, utilities have increasingly invested in wind power, and to a much lesser extent in other renewables. 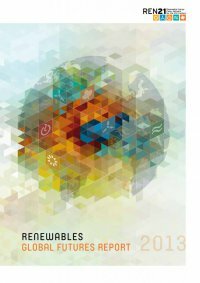 Industry experts pointed to progressive utilities as bellwethers of future industry-wide investment.9 Several utilities have announced multi-billion dollar investments in renewables over the next five years, including EDF, E.ON, RWE, and Vattenfall, and at least three of these are also targeting 20% or more shares of renewables by 2020. Some utilities have reached the point where over half of their generation assets are already renew- able, including Iberdrola and Next Era Energy Resources. And some utilities have set climate-related targets: for example, Dong Energy targets a 50% carbon dioxide (CO2) emissions reduction by 2020 and an 85% reduction by 2040 (relative to 2006). Notwithstanding these examples, many other utilities around the world see renew- ables as minor parts of their corporate strategies, or have yet to include renewables at all.10 Oil and gas companies do not necessarily envision large investments in renewables either. Many are investing in renewables, but still at relatively low levels, and indications are few that these companies plan large investments in the long term. French Total’s announce- ment in 2009 that it would invest $2 billion in renewables during 2010–2020 was a large leap from the few millions it had been invest- ing prior to that, but this still represents a very small share of the company’s investment in oil and gas upstream activities. BP launched its Alternative Energy business in 2005 and committed to invest $8 billion over 10 years (and had reached almost $7 billion by 2011).11 Oil companies with recent investments and plans in the renewables arena include BP (wind), Chevron (geothermal, solar, wind), ENI (solar), Petrobras (solar, wind, hydro), Repsol (geothermal, wind), Sonatrach (solar), Statoil (geothermal, wind), and Total (solar). RENEWABLES GLOBAL FUTURES REPORT 03 investment futures: flows, investors, and business models Great Debate 6 | Will Utilities Lead, Follow, Push Back, or Perish? With increasing levels of renewables, the business models and revenue streams of many existing utility and energy companies are coming under threat or stress. Some companies will lose market share, revenue, and even sufficient profit to continue to exist, many experts believed. How existing companies (called “incumbents” by some) decide to respond to that stress will shape how renewable energy develops in the future. Experts believed that change is under way, and many were confident that utilities would rise to the challenge. One said, “utilities are already reevaluating their strategies, and this will certainly start to happen in the next 3–5 years, and then we’ll see overall changes in business models and market structures in the 5–10 year time frame.” Another commented that “utility resistance is declining with new business models, guided by new policy frameworks,” and believed that, “the mindset of established utilities is changing—they are recognizing that if they do not change, they can’t continue with business-as-usual.” However, not all experts were as certain that utilities would lead. Said one, “utility system transformation will emerge within five years, but led by external stakeholders, not by the utilities themselves.” Another saw the utility leadership question as generational: “To transform the utility systems in the ways required, we are going to have to retire many existing power engineers.” One finance expert believed that some utilities will come under pressure to lead or perish quite soon, and predicted the “coming imminent collapse in financing of conventional centralized power generation assets in OECD countries.” This expert explained that “solar PV will destroy the financing, economics, and operations of the traditional centralized networks much faster and with much larger negative consequences than anyone is discussing.” Notes and discussion: See Annex 4.